Armani Hotel Dubai, the first hotel to be opened under the Armani Hotels & Resorts portfolio, has launched a global recruitment drive to hire 600 hospitality professionals. The hotel is scheduled to open later this year. The Armani Hotel Dubai, located in Burj Dubai – the tallest building in the world – occupies concourse to level 8 and levels 38 and 39 of the iconic tower. The opening of the hotel this year will be followed by the launches of the Armani Hotels & Resorts in Milan, Marassi and Marrakech, and subsequently in key international destinations such as New York, Shanghai and London. Mr Marc Dardenne, Chief Executive Officer, Emaar Hotels & Resorts and Emaar Hospitality Group, said, “The new recruits will be offered extensive training to align themselves with the overall operational philosophy of Armani Hotels. The recruitment drive is expected to cover 16 countries to ensure that the hotel is serviced by a truly cosmopolitan team. This is to complement the truly very international demographic profile of Dubai and that of Burj Dubai visitors. 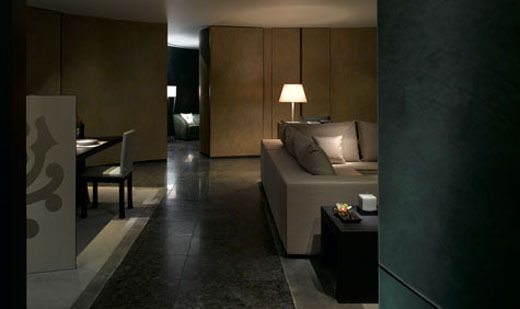 Personally designed by Giorgio Armani, the hotel will offer 160 luxuriously guestrooms and suites. Catering to the multicultural nature of the city, the hotel’s food and beverage offering will include a varied selection ranging from Japanese to Indian, Mediterranean and authentic Italian. Armani Hotel Dubai will offer Armani/Events, featuring a 30,000 sq ft of conference and banqueting facilities – the Armani/Ballroom; and the Armani/Pavilion, a spacious outdoor area for up to 350 guests. The hotel also will bring to the Middle East several firsts including the region’s first Armani/Privé – a hip and upmarket night club; the world’s first in-hotel Armani/Spa; the Armani/Dolci, a chocolates and sweets store; an Armani/Fiori, a floral shop; and an Armani/Galleria. In addition to the Armani Hotel, Burj Dubai features the Armani Residences Dubai – exclusive serviced residences designed personally by Giorgio Armani.